Buckled baby carriers come in a wide range of styles with firm waist bands to soft ones. 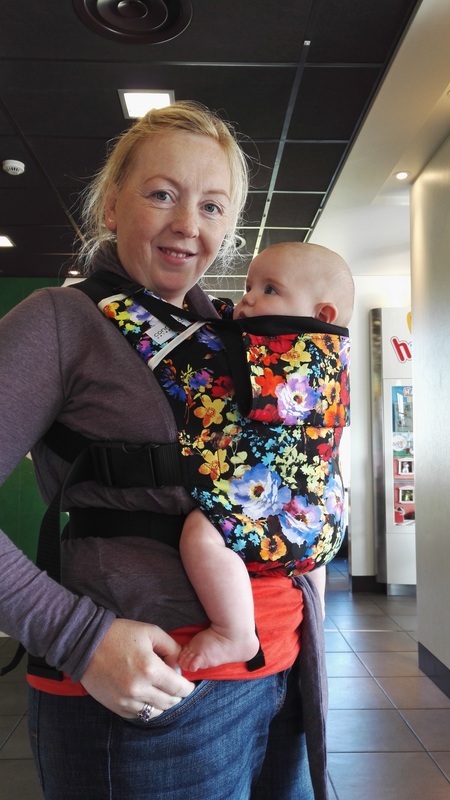 They can have firm padding in the shoulder straps or just plain webbing. Some will have a hood to provide shade from the weather and others won’t. 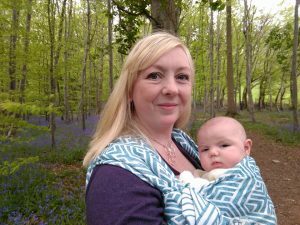 It’s ideal to visit a sling library to see them all up close and work out what will best suit your needs with the help of one of the consultants or peer supporters. You might hear the term ‘Soft Structured Carriers’ or ‘SSCs’. A buckled carrier falls into the soft structured carrier group as it has a degree of shape and contouring. Connectas are very popular for their ease of use and versatile designs. 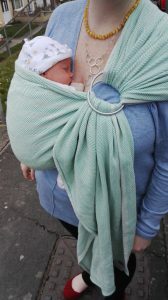 Known for being quick to use when they are set up rings slings feature two rings with a piece of fabric threaded through. A seat is provided with a pouch for the baby to sit in like a hammock. These baby carriers are popular when baby need to be removed quickly to get in and out of the car, for trips to the supermarket or when a toddler is more independent and wants up and down frequently to walk for themselves. 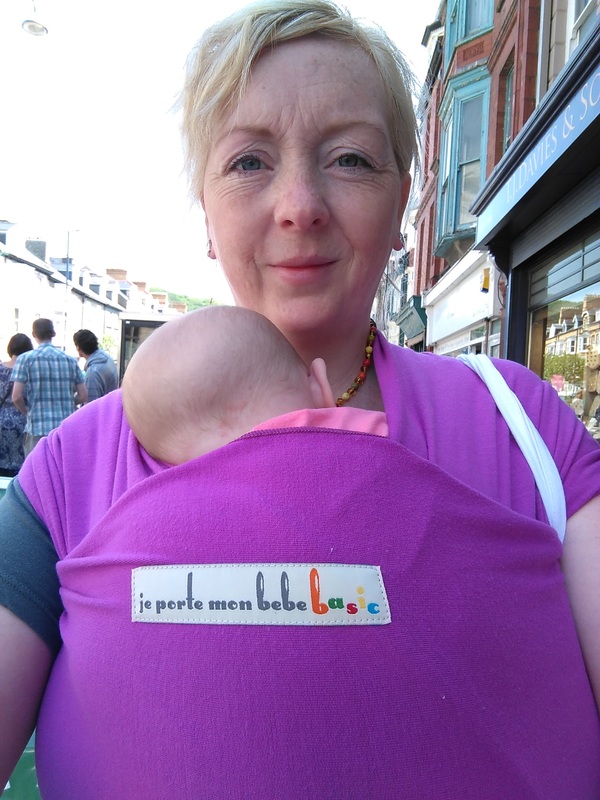 Woven baby carriers are versatile and offer two shouldered carries with support spread as needed. They can be used from newborn to preschool age and allow the child to be carried on the front or back of the caregiver dependent on the baby’s developmental stage. Often new parents are gifted a stretchy wrap from a family member. A stretchy is a length of fabric, usually soft machine knitted jersey with some elasticity and stretch. They are often used from birth and sometimes for kangaroo care in hospitals with premature babies. Gentle, all around pressure contains limbs and mimics life in the womb making babies feel safe and secure, listening to the heartbeat of mum or dad and feeling their warmth.